Covered Porches: 840 sq. ft. Gross Area: 2,184 sq. ft. 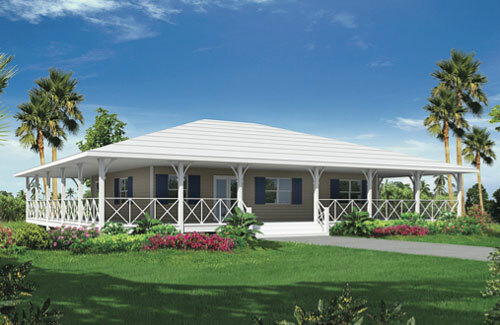 The Point House is currently our largest single story model that encompasses all the hallmarks of a classic Island Home. It has been designed for comfort and style with options such as the 10 ft. wrap around porch, hip roof and our Bermuda style “MGO” roof cover. Measuring 32 x 42ft. the Point House offers over 1,400 sq. ft. of living space where form and function are incorporated into the open kitchen, dining and living areas. The master suite has a private bath with walk-in closet and optional deck access. 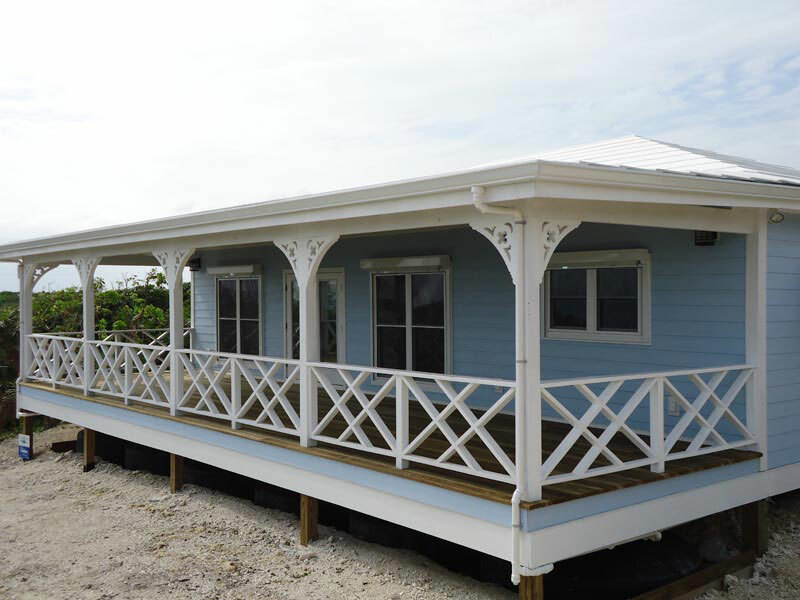 The two guest bedrooms and a full bath complete the layout and make this model a true Bahamian Island Home.